Fifteen-year-old Pearl lives in the perfect place, or so she thinks. Seed is a tiny community isolated from the evils of the world. They grow the best vegetables organically and live in community. Soon Pearl will be able to take her place as Companion to Papa S, a day she looks forward to, though she’s not entirely sure what it entails. When a new family from the outside joins Seed Pearl begins to question the life she has always known. 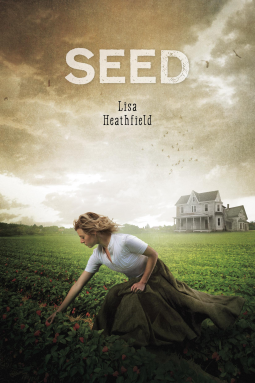 Life at Seed is bucolic and warm, or at least it seems so until Pearl begins to discover that all on the farm is not good, and the place is certainly not healthy. Pearl is such a well drawn character that her innocence is believable and appealing. As a reader it is easy to see trouble coming for Pearl and I read with breathless anticipation wondering how it would manifest and what she would do. From the start of the story Heathfield masterfully sets the reader at a similar disadvantage to Pearl. It is unclear whether this tale is set in the present, a not-so-distant future or an alternative reality, so readers are forced to rely simply on what the story tells them about Seed and the world around it, just as Pearl must rely only on what she hears from the community. This dark story will appeal to teenagers who are themselves on the cusp of adulthood. They will relate to Pearl’s struggles as she weighs what she has always been told against new knowledge and understanding of the world around her. I read Seed as an advance reader copy courtesy of Running Press Kids and Net Galley. Seed will be released March 10, 2015. Wolves dragged Grace off the tire swing, biting and worrying her skin, but she did nothing to stop it. She just lay there. It was the light wolf with the yellow eyes that stopped them. In the six years since the attack Grace has listened and watched for the wolves –especially “her” wolf, the one with the yellow eyes. The town has mostly forgotten the attack on Grace, but when the wolves attack and kill a high school student, Grace hurries to protect them from an angry mob. That’s when she learns a secret she only dared dream before. 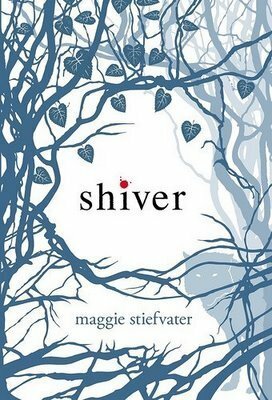 Told in alternating points of view, Shiver is a love story between Grace and her savior, a werewolf named Sam. But now that they’re finally revealed to one another they’re in a race against time. The cold makes werewolves change and winter’s coming on. Grace doesn’t want to live without Sam — and this time he might never change back. This is an interesting twist on the traditional werewolf idea. I enjoyed Stiefvater’s take on the change and on the challenges faced by the werewolves. I loved the sweet romance between two people who had been betrayed by those who should love them the most but who, despite everything, stood fast for each other. Gloria and her best friend Carol have a plan: to graduate from high school in Louisville, go to New York, and to skimp by however they can in order to make it in the theater and the ballet respectively. Gloria’s totally in, but first she wants to spend one summer on a college campus, just for the experience. So the summer before senior year Carol heads for ballet camp in New York while Gloria chooses Geek camp at the University of Kentucky. Gloria’s thrilled to be entering the unknown. She chose the one course that came with no description. It’s also got a requirement that she give up technology and electronic communication for all four weeks of the program. Gloria’s excited rather than deterred by this dictum. She packs her pen and a notebook and leaves her technology and her city life behind. This is a charming novel about possibilities. Gloria is the epitome of seventeen. She’s driven by her past, figuring out who she is, judging and embracing her camp mates, and opening herself up to new ideas and experiences. 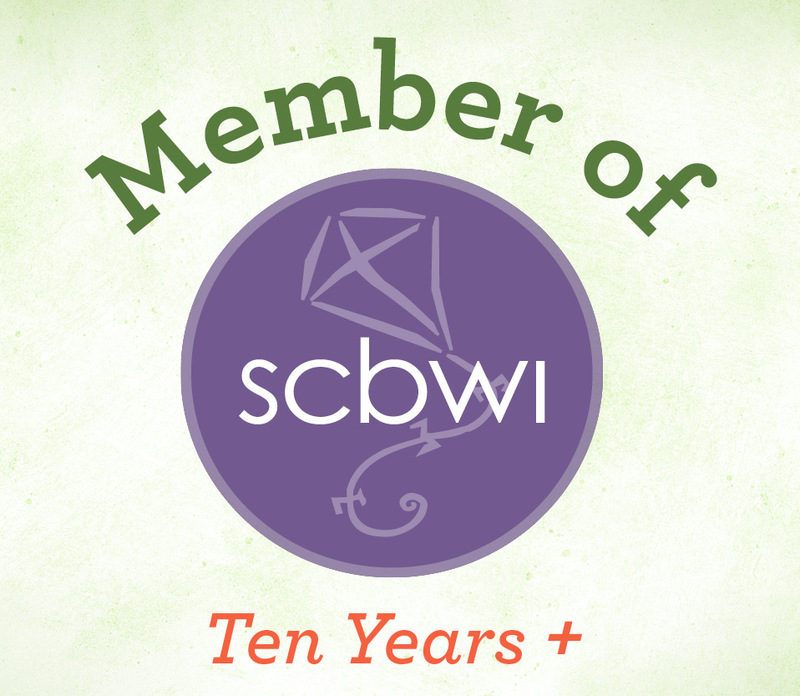 The characters in the story are appealing and flawed and coming of age in a wonderful way. I think that as a younger teenager I would have loved to read this book and imagine myself in Gloria’s shoes. It’s full of the questions teenage girls and boys have about love, the future, and their past. 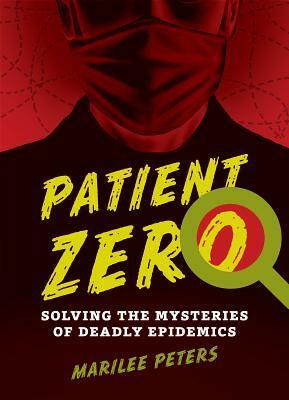 This would make a great addition to young adult collections and a fun read for vacation or a lazy weekend. 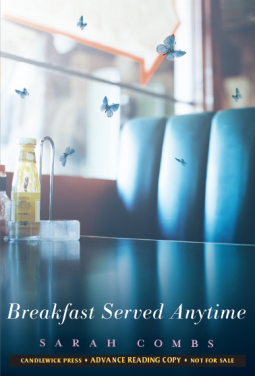 I read Breakfast Served Anytime courtesy of Candlewick and NetGalley.